NEW! Updated financial statements that incorporate changes in the Uniform System of Accounts for Restaurants (USAR) and the Uniform System of Accounts for the Lodging Industry (USALI). All financial statements in this revised version of the text have been reformatted to conform to the recommendations presented in the newly released 8th edition of the USAR and the 11th edition of the USALI. NEW! Here’s How It’s Done “Here’s How It’s Done” is a new feature used to assist students in areas where math concepts may be challenging. Simple step‐by‐step instructions on how frequently used calculations are made help readers see exactly how to apply mathematical procedures to areas of importance. NEW! Consider the Cost Case Studies These new, real‐life scenarios, added to each chapter, allow readers to directly apply the concepts presented in the text to realistic challenges they will likely encounter as managers. Instructors can incorporate this new feature as in‐class discussions or as take‐home assignments. NEW! 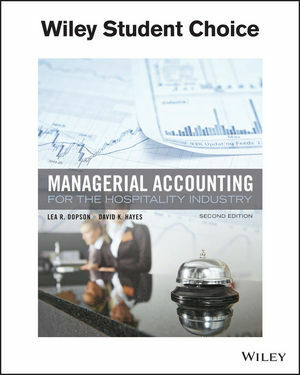 Managerial Accounting Around the World The hospitality industry is increasingly globalized. This unique feature, presented in each chapter, illustrates the importance of understanding managerial accounting from a global perspective.